Instagram is currently rolling out a simpler interface on iOS devices, which allows users to post to different accounts at the same time. It's intended as a time-saving feature, allowing users to post to various accounts simultaneously instead of re-uploading the same images and text. For now it's being limited to iOS devices, though there's no reason it wouldn't come to Android too. 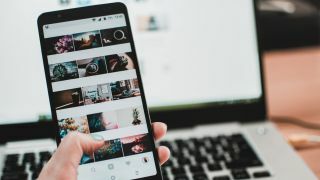 As Instagram's userbase grows, it makes sense to reduce barriers to sharing and creating content, though it may mean we see an influx of identical content across the platform. That's only really a problem if you follow various accounts by the same user, though – and is why Instagram has held off on a 'regram' feature in the vein of Twitter's 'retweet'. Let's keep things fresh, eh? The Instagram social media platform already allows users to connect various accounts to the same profile, given the popularity of so-called 'private' and 'public' accounts, which are used by people wanting to share certain parts of their life with the world, but save more personal content for a smaller, more exclusive following. It's also a boon to PRs managing accounts for multiple personalities or businesses, or those just creating different content for different audiences. While the move could help spammers as much as the rest of us, it will certainly make life easier for a lot of heavy users.